Summer time is what I live for every year. I love being outside and enjoying all the activities that come with it with my friends. Living in Utah, there is always something to do in the summer. Whether it be camping, hiking, disc golf, you name it and you can probably do it here in the summer. One thing I’ve always wanted to do however is bowl outside. Hanging out in the sun with some friends and a few drinks while bowling would be an absolutely amazing summer time activity. My friends and I play corn hole in the summer, so this would just be another outdoor activity for us to enjoy. If this sounds like something that would be entertaining to you, your friends and family, then you need to check out what this guy built in his backyard. The construction is pretty simple, and the end result is something you can enjoy for a long time. 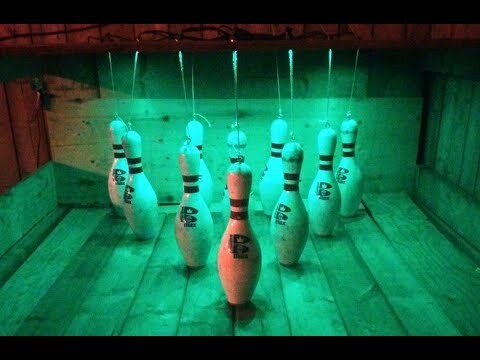 Check out this guys DIY backyard bowling alley! Will a car drive if you chain the tires?